With a focus on improving the customer experience, Carnival Corporation engaged Integrated Insight to conduct ethnography studies aboard ten sailings on four different cruise lines: Carnival, Princess, Holland America, and Seabourn. Panelists were invited to participate via a personal email invitation and pre-interviewed by phone about two weeks prior to their trip. Questions regarding past cruise behavior, other vacations enjoyed, specific motivations, and the general planning and decision making process for this particular cruise itinerary and ship were probed. During the cruise, participants met with the Integrated Insight team for about 30 to 60 minutes every other day. On alternate days, they would check-in via in-stateroom voice mail. Whether in person or by phone, the daily topic was the same: What is working well, and where do you see need for improvement? Daily contact eliminated the potential for one single study event – typically toward the end of the cruise – to dominate their thoughts. During port days, the Integrated Insight team engaged in casual conversations with passengers on competitor cruise lines, to hear their opinion of the cruise line on which they were sailing, as well as Carnival brands. Post cruise, guests were interviewed once again by phone to capture thoughts on debarkation and overall perceptions of the cruise. The research helped inform factors influencing choice and satisfaction, and informed future product improvements. 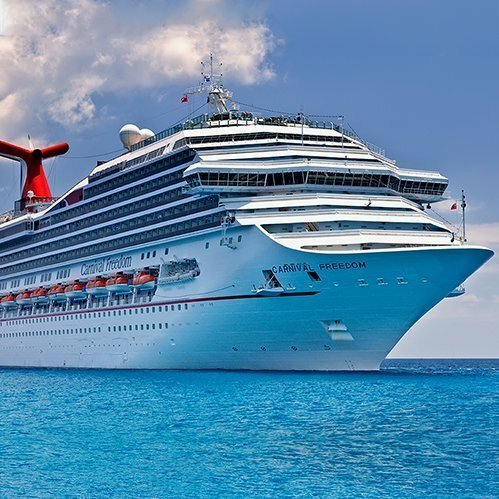 Subsequently, Integrated Insight has been the research partner of choice for the Carnival Corporation innovation team, conducting numerous research studies – both qualitative and quantitative – in support of new products and services, enhanced technology, and a better understanding of individual guests. In addition, Integrated Insight regularly assists with optimization studies to improve guest flow, both shore side and onboard, reduce burdensome or unnecessary processes, and make maximum use of limited ship space.